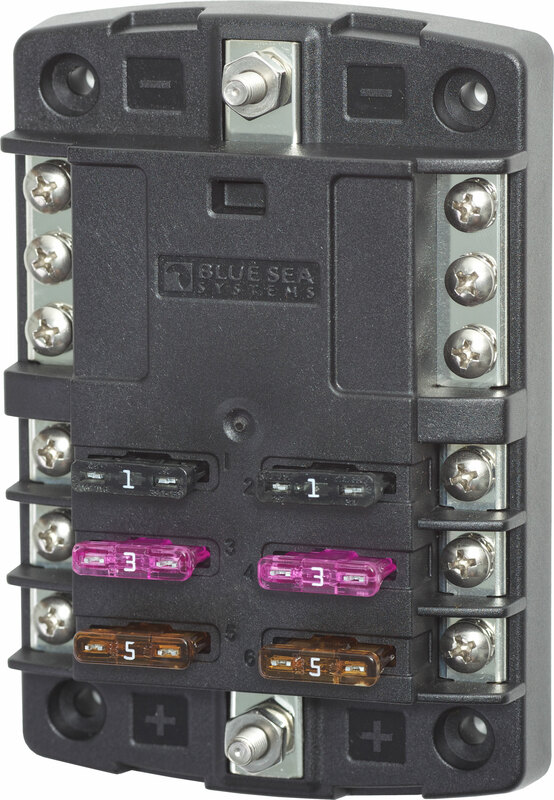 The ST Blade Fuse Block can offer a space saving and cost effective solution to adding circuit protection when there are limited available circuit breakers on the distribution panel. 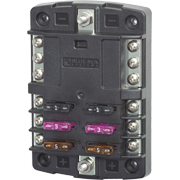 A single circuit breaker on a distribution panel can provide the circuit protection for the feed wire to the ST Blade Fuse Block. This is frequently done for electronics that each have their own ON-OFF switch and don’t require the switching offered by a circuit breaker. 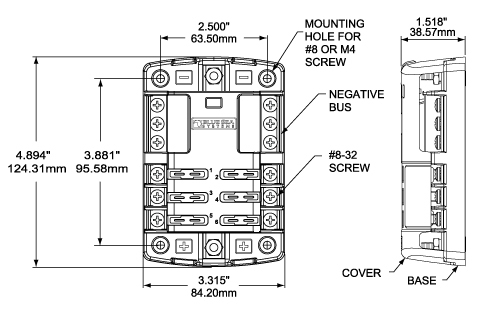 The 6 or 12 position ST Blade Fuse Block then provides a consolidated location for fuses for each of the electronics.